We researched the qualifications required to teach English—different countries have different basic requirements—and decided that a 100 hour TESOL online course was the minimum (in terms of hours and cost) that would get me work. We compared the cost of courses and reviews by people who had undertaken them and OnTESOL came out on top. We paid for the course and I started sending in assignments (easy at first and getting harder as the course progressed—there were a couple I had to revise according to comments from the instructor). We already had tickets for Vietnam and I finished my TESOL certificate in Danang. Vietnam was attractive for both romantic and pragmatic reasons. We both wanted to live in a tropical country. We didn’t have much money and it was viable to live here while looking for a job—in the end, it was a month after we arrived before I started work and another month before I got my first pay. My wife had had a close Vietnamese friend in high school remembered the grace and friendliness of her family. We had an impression of sensuousness of color and smell from the film The Scent of Green Papaya. I was looking forward to being able to afford a beer whenever I wanted one (beer is about 30c a glass here). Now we’ve been here for four months and will probably leave soon, how did the reality compare to the expectation? One thing is certain: we won’t know how we really feel about our time here until we have left. 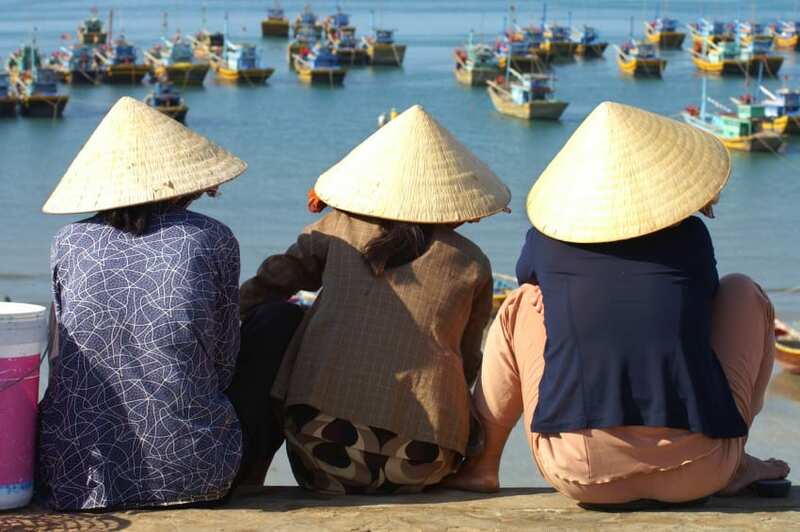 Want to teach English in Vietnam? Find more information about TESOL jobs and get free TEFL recruitment.